Somerset Badger Group received a call on their 24/7 Helpline ( 07850 604585 ) on St George’s Day evening (23 April 2015) from two motorcyclists who saw two badger cubs wandering aimlessly on the busy A371. 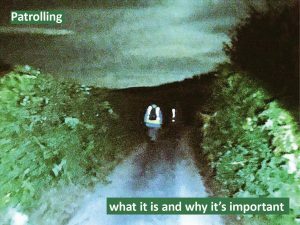 They followed the cubs a short distance to keep an eye on them until two members of Somerset Badger Group arrived, by which time the cubs had gone into a rabbit hole. The volunteers patiently waited until the cubs came out and they were able to be caught. They are now on their way to Secret World Wildlife Rescue for assessment. Friday (24 April 2015) the Badger Group will return to survey the area with the hope that the natel sett can be found and the cubs returned. Photos kindly supplied by the finders. Who threw the first stone at the badgers?